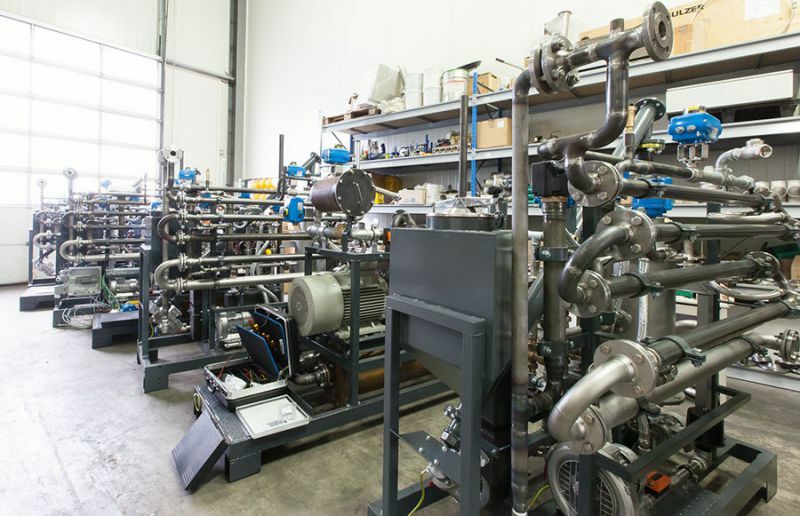 German micro power generation technology developer, ENTRADE, has launched a biowaste powered tri-generation high temperature gasification system for providing power, heat and cooling. The mass produced, sub £200,000 system is claimed to be the world’s smallest combined cooling, heat and power (CCHP) unit fuelled by regional available biomass waste. The technology is said to be based on a high-temperature, carbon-neutral and highly efficient gasification process. It uses solid biomass waste to generates up to 30 kW of electricity, 60 kW of heating and/or cooling up to 30 kW of cooling, said to beenough for 22 American single family homes, a small production facility or even a village in developing countries. ENTRADE said that one E3 unit is a turnkey solution small enough to be easily transportable on a pickup truck. So far over 100 types of solid waste are certified for use in the system, including nut shells and other regional biomass. “Here it is: The world’s smallest tri-generation power plant fuelled by waste, that will have a huge impact on the everyday-life of millions of people without any access to clean energy,” said ’ Julien Uhlig, ENTRADE’s CEO. The company plans to produce up to 45 units per month with a target of 600 units in 2016. An interview with Julien Uhlig can be viewed below. Professor Jimmy Yu is associate director of the Institute of Environment, Energy and Sustainability at CUHK. Solar power is one of the most promising forms of creating “green” energy. But could we take the process a step further and generate other kinds of energy using the sun’s rays? CUHK Professor Jimmy Yu Chai-mei believes he has found the answer. By using chemicals such as cadmium sulfide and, separately, simple elements such as red phosphorus, the chemist has produced promising results in generating energy by splitting water molecules using sunlight. Water splitting does not occur in the absence of catalysts. Professor Yu has been examining ways of expediting that process by adding a photocatalyst that will speed up the decomposition of the water molecules to produce hydrogen, functioning much as chlorophyll in a plant, using sunlight to induce a chemical reaction. 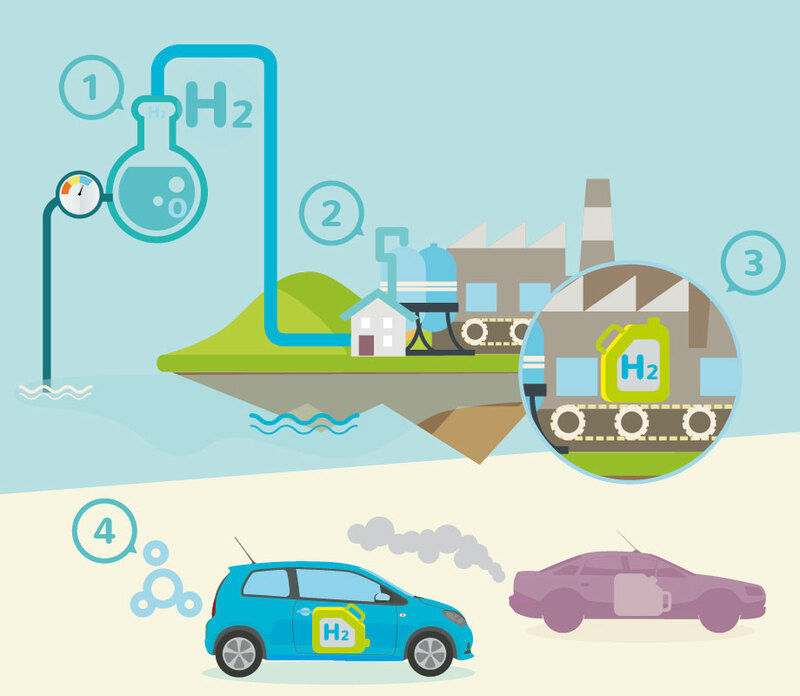 The hydrogen can then be stored and used in power plants or as fuel for vehicles. Red phosphorous acts as a catalyst to speed up the decomposition of water molecules to produce hydrogen, which can then be used in power plants or as fuel for vehicles. Hydrogen power holds plenty of potential because it contains no carbon. On combustion, water molecules are formed, which are harmless to the environment. That makes it preferable to typical fossil fuels, which do contain carbon and so in combustion form greenhouse gases such as carbon dioxide. There are hundreds if not thousands of materials that can function as photocatalysts. Titanium dioxide can act as a photocatalyst – but it only works when irradiated with ultraviolet light. Professor Yu has discovered that adding the semiconductor cadmium sulfide, a highly active catalyst, into the equation allows the titanium dioxide to extend its photo-response to the shorter bandwidths of visible light. Subsequently Professor Yu and his team have also shown that red phosphorus, the most stable and commonly found of three forms of that element, can help break up water. Phosphorous makes up around 0.1 percent of the Earth’s crust, so there are hundreds of billions of tons of it that can be extracted fairly easily and cheaply. “It is always available, that’s the beauty of it. It will never be used up,” says Professor Yu. Put red phosphorus into water at room temperature and expose it to sunlight, and you will see bubbles of hydrogen forming. 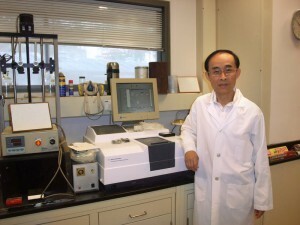 “We were the first people to observe that property of red phosphorus,” Professor Yu says. Thanks to the finding, Professor Yu made the ranks of the “World’s Most Influential Scientific Minds” in 2014, as compiled by Reuters. Now the challenge is to scale up the process. So the chemist hopes engineers can take those findings and achieve sustainable clean energy production. Lawmakers are demanding a more precise breakdown of the results of a public consultation on the development of the electricity market as nearly a third of submissions were templates and the rest a mystery. They said the results of the government’s consultation were simplistic and failed to show a diversity of opinions. “The results of this consultation, I think, is too simple,” said tourism sector lawmaker Yiu Si-wing at a meeting of the Legislative Council’s economic development panel on Monday. 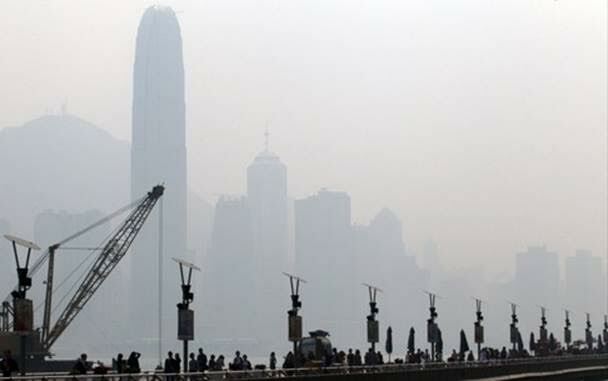 Panel chairman James Tien Pei-chun agreed, and asked the bureau to provide more detailed analysis. “We want to know the justifications. There are over 10,000 submissions so there must very different views,” he said. 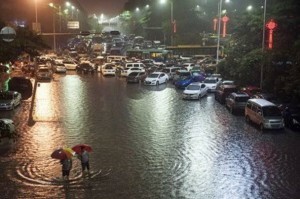 Deputy secretary for the environment Vincent Liu Ming-kwong said his office would consider if more detailed information could be provided to members. The findings of the government’s consultation, which drew 15,765 submissions, saw no need to break the monopolies held by the city’s two power suppliers, nor cut the profits they could make. More than half of respondents favoured keeping return rates at 9.99 per cent to give power companies an incentive to invest. A third of submissions to the consultation, which ended in June, came at the behest of green groups, which favoured lower fees and more competition. The source of the rest remained a mystery. Others favoured lower returns but “a relatively small number of respondents” suggested a rate below 6 per cent”. Earlier this year, the government had proposed lowering the rate of return from the 9.99 per cent down to 6 to 8 per cent. Some lawmakers, including those from the business sector, had reservations on whether the level was appropriate without stricter conditions imposed on the suppliers for more renewable energy generation and the interconnection of their power grids. They also were sceptical about renewing the framework for another 10 or 15 years. Labour’s Lee Cheuk-yan said the government claimed large-scale renewable energy was not feasible locally but that technology was improving. “If we sign for another 10 years and your grid isn’t opened, no one will be able to tap into it,” he said. Tien, from the pro-business Liberal Party, said even 6 to 8 per cent was “a bit high” given the economic and low-interest rate environment. “When I joined Legco in 1988, the permitted rate of return was 15 per cent, but no one thought it was high because borrowing costs and inflation were both more than 10 per cent,” he said. He also pointed out that there was no need for such a high guaranteed return or lengthy contract – both CLP Power and HK Electric are eyeing another 15 years – as the two suppliers had already made most of the long-term investments they needed over the last few decades. In response, Liu said many coal-fired plants would soon have to be retired and replaced, while natural gas generation would involve high costs. “Many new investments are needed,” he said. Environment chief Wong Kam-sing said while public opinion was clear, its consultant would examine the rate of return and the government would begin official negotiations with the two suppliers next year with the aim of setting a final rate in the next one or two. The environment undersecretary has defended Hong Kong following its downgrading in an energy index compiled by a United Nations-accredited body, saying the score does not fully take into account the city’s unique situation. The annual World Energy Council index ranked Hong Kong 40th among 129 nations and regions, two places lower than last year, based on its ability to balance the “energy trilemma” of security, equity and environmental sustainability. 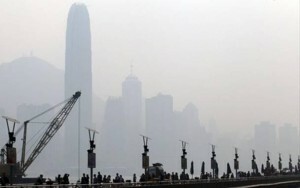 Hong Kong’s ranking was dragged down by concerns over the security of its energy supply – given its heavy reliance on fossil fuels – and its economic stability. But Christine Loh Kung-wai said the compilers had failed to note that Hong Kong obtained nuclear power and gas from the nation it was part of, making its supply “very secure”. She also disputed the assessment of the local economy. The ongoing disaster from the Fukushima nuclear plant, about to reach the 3-year mark in four months time, demonstrates the potential magnitude of devastation if a problematic nuclear plant, located just 30 miles from New York City and currently operating without a permit, was to suffer a similar mishap. It has been over two years since the earthquake and tsunami that brought about the nuclear reactor crisis in Fukushima — the largest nuclear disaster since Chernobyl in 1986. The situation at the six plants is still grim. Four of the reactors are damaged. 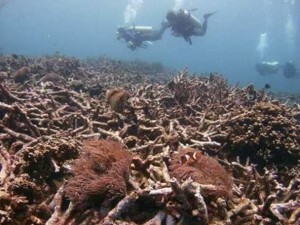 Hundreds of tons of contaminated groundwater are reportedly seeping into the ocean every day. Nearly 83,000 people were displaced from their homes in the approximately 310 square mile exclusion zones. On Wednesday October 9, an accident resulted in six workers being doused in radioactive water. Accidents and mishaps at the Fukushima site are regular occurrences. Japan’s Prime Minister Shinzo Abe has now asked the world community for help in containing the ongoing Fukushima disaster, as it continues to spiral out of control. Earlier this week, I participated in a panel discussion in New York City called “The Fukushima Daiichi Nuclear Accident: Ongoing Lessons.” The event featured notable long-time experts on nuclear technology discussing the crisis in Fukushima and the current state of the heavily subsidized nuclear industry in the United States. The panel participants were former U.S. Nuclear Regulatory Commission (NRC) Commissioner and later Chairman Peter Bradford, former NRC Chairman Dr. Gregory Jaczko, former Japanese Prime Minister Naoto Kan, and nuclear engineer, Arnie Gundersen. Mr. Bradford presented a detailed power point that showed how competing forms of energy already are leading to the decline of the nuclear industry. The panel discussed safety concerns regarding the Indian Point nuclear power plant located about 30 miles from New York City. Indian Point has long been rife with safety problems and its location near an earthquake fault is a source of great concern for many New York residents. You can view Tuesday’s event, in its entirety, here. In the 1960s, The Atomic Energy Commission determined that a class-nine nuclear power plant accident could contaminate an area the size of Pennsylvania and render much of it uninhabitable. A nuclear disaster at Indian Point would threaten the entire population of New York City and its outlying metropolitan area. The continued existence and operation of Indian Point is like playing a game of Russian Roulette with the lives and homes of the nearly 20 million people who live within a 50 mile radius of the plant. 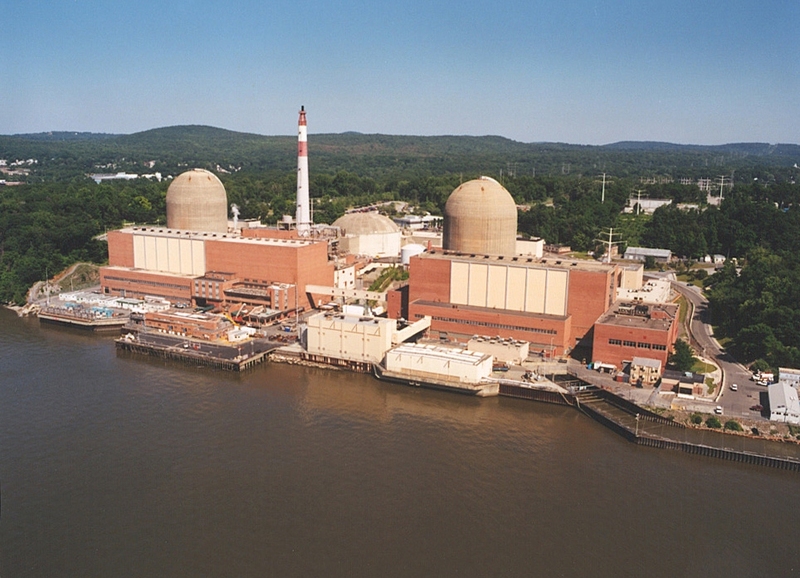 Consider the difficulty New Yorkers have simply commuting to and from their workplaces during rush hour and imagine the horror of a mandatory evacuation due to a nuclear emergency at Indian Point. The NRDC estimates that a serious accident could, in addition to massive casualties, “cost ten to 100 times more than Fukushima’s disaster” which would be in the trillions of dollars. If Indian Point were closed today, there is enough surplus energy capacity to last the state until 2020 as alternative energy sources are developed and deployed. Governor Andrew Cuomo has called for the shutdown of Indian Point, as did Hillary Clinton during her time in the Senate. A main reason is that an emergency evacuation of the population up to 50 miles around these two nukes is impossible. So what’s the delay? Mainly resistance from the nuclear industry and a compliant regulatory agency. The NRC has faltered in its watchdog role by acting to protect and even bolster the dangerous, expensive and unnecessary nuclear industry. The industry’s last claim is that it avoids greenhouse gases. But as physicist Amory Lovins says, if the investment in nuclear plants was shifted to renewables and energy conservation, it will produce less demand and more environmentally benign BTUs by far, and with more jobs. To truly understand the cost of nuclear energy, one must consider the absurdity of the nuclear fuel cycle itself. It begins with uranium mines and their deadly tailings, then the fabrication and refinement of the fuel rods, the risky transport of these rods to the multi-shielded dome-like plant where they are installed, and then firing up the plant so it goes critical with a huge amount of radioactivity. Dealing with volatile nuclear reactions requires flawless operation. And then there is the storage and guarding of hot radioactive wastes and contaminated materials that persist for 250,000 years. No permanent site has been located and licensed for that lengthy containment. What is the end purpose of this complex and expensive chain of events? Simply to boil water — to generate steam to turn turbines to produce electricity. With all the technological advancements in energy efficiency, solar, wind and other renewable energy sources, surely there are better and more efficient ways to meet our electricity needs without burdening future generations with deadly waste products and risking the radioactive contamination of entire regions should anything go wrong. It is telling that Wall Street, which rarely considers the consequences of gambling on a risk, will not finance the construction of a nuclear plant without a full loan guarantee from the U.S. government. Nuclear power is also uninsurable in the private insurance market. The Price-Anderson Act of 1957 requires taxpayers to cover almost all the cost if a meltdown should occur. No other industry that produces electricity poses such a great national security risk should sabotage or malfunction occur. 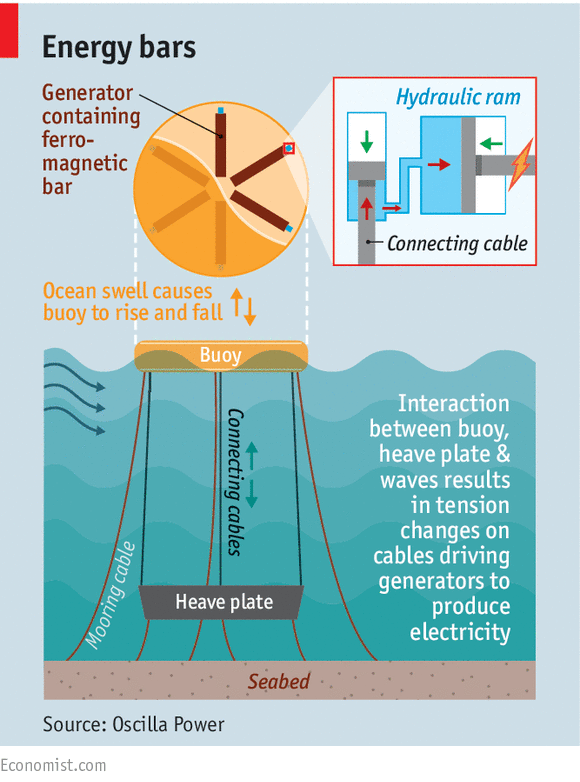 No other means of generating power can produce such long-lasting catastrophic damage and mayhem from one unpredictable accident. No other form of energy is so loaded with the silent violence of radioactivity. Nuclear energy is unnecessary, uninsurable, uneconomic, unevacuable and most importantly, unsafe. The fact that it continues to exist at all is a result of a ferocious lobby, enlisting the autocratic power of government, that will not admit that its product is unfit for use in the modern world. Let us not allow the lessons of Fukushima to be ignored.